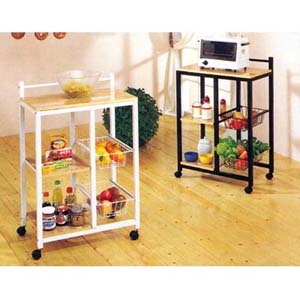 Kitchen Cart. Easy to assemble. Available in Black or White Finish. Size: 23.5 In. x 16.5 x 40(H).